Situated right in the heart of Cleethorpes on the popular shopping street of St Peters Avenue this characterful property oozes charm. 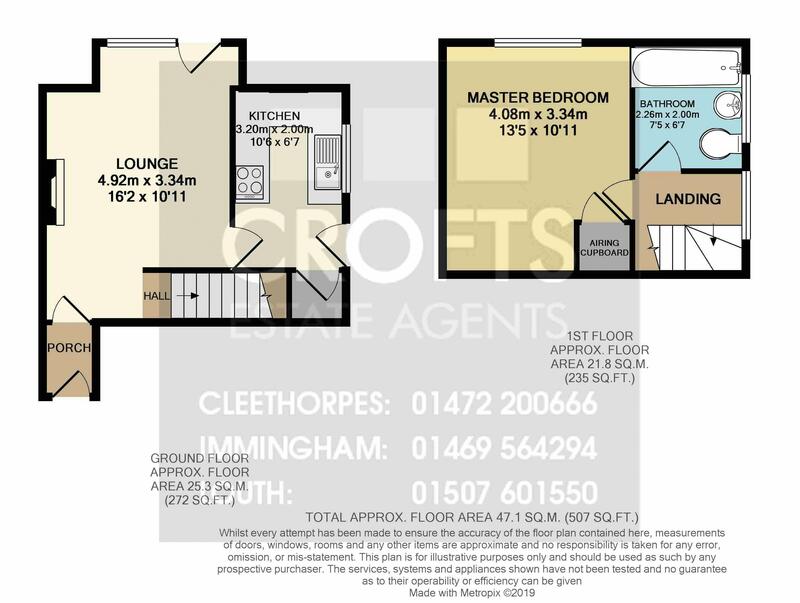 Just a stones throw from Cleethorpes beach, and close to transport links, this beautiful one bedroom mews property would be ideal for a young professional. Enjoying the benefits of gas central heating and uPVC double glazing this lovely and well presented property briefly comprises of entrance porch, living room, kitchen, spacious bedroom as well as a bathroom with three piece suite and shower. To the rear of the property is a low maintenance courtyard and communal parking.